She professed faith in Christ and had been a member of Robinson Creek Baptist Church since 1950. Betty was a retired employee of Fruit of the Loom in Campbellsville. She was a great cook and loved feeding her family. She united in marriage to Raymond Hobson “Peanut” Sharp January 3, 1942 and he preceded her in death May 12, 1994. She is survived by three sons: Kenneth Sharp and wife, Emma, Jerry Sharp and Randall Sharp and wife, Sharon of Campbellsville; six grandchildren: Evangela Sharp Cave and husband, Bernie, Ernie Sharp and wife, Cindie, Suzette Sharp Akridge and husband, Lee, Shanon Sharp Clark, Beth Sharp Wilson and husband, Terry, and Todd Sharp and wife, Brandie; sixteen great-grandchildren: Javen Cave, Karrie Cave, Zachery Sharp, Gabriel Sharp, Breanna Sharp, Samantha Akridge, Devan Wasson, Ashleigh Knopp and husband Travis, Austin Yates and wife, Jessie, Presley Wilson, Bobby Wilson, Gracie Wilson, Savanna Sharp, McKynzee Gumm, Keegan Zulager and Rylee Zulager; four great-great-grandchildren: Gunnar Cave, Jackson Knopp, Noah Knopp, Annabelle Knopp and expecting Lucy Knopp; two sisters and one brother: Thelma Barnes and husband , Kelsay “Bug” Barnes and Rachel Durham and husband, Howard and Allen Nelson of Campbellsville; three sisters-in-law: Ruby Nelson, Evelyn Fisher, and Helen Sharpe of Campbellsville; several nieces and nephews and many other relatives and friends. 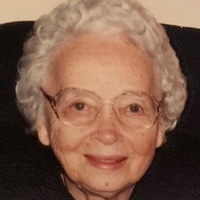 She was preceded in death by one great-grandson, Brent Sharp and six siblings: Pearl Sullivan, Ruth Nelson, Gladys Milby, Florence Curry, Buckner Nelson and David Lee “Joaner” Nelson.